More than 900 people gathered April 16 for the 28th Annual Minnesota Book Awards. Writers, publishers, family, friends and lovers of books celebrated thirty-two authors whose work reached the finals of this prestigious competition. While most of the winners were names well known in the book world, many of us hoped a writer friend would be the dark horse to take home one of this year’s eight awards. Regardless of results, they would always be a Minnesota Book Award Finalist, an affirmation of talent and skill earned by very few. My friend Steve McEllistrem, author of The Devereaux Decision, now carries that status. Steve has been a host of KFAI’s Write On radio show for years and a wonderful sci fi writer. Ames Sheldon, a member of my writing group, recently won the Independent Book Publishers Association’s 2016 Benjamin Franklin Gold Medal Award for Best New Voice in Fiction for her debut novel, Eleanor’s Wars. We have a gifted writing group with the current membership producing 17 published books and nine significant awards. We are thrilled for her success. 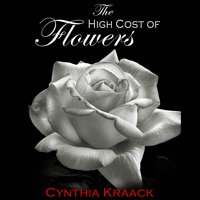 The High Cost of Flowers, my 2015 release, won two Midwest Book Awards—both Literary andContemporary Fiction. the larger publishing world, are quality. We earned affirmation, a little media coverage, a few speaking engagements. But, there’s a whole lot of post-award publicity and book sales left on the table for writers like Steve, Ames and me. Without resources of a large publisher, there’s no expertise to develop plans in advance or manage promotion after winning a significant book award. The honors promote a publisher’s brand, a writer’s brand and sales. Nothing that should be squandered. Most royalties are paid to a small number of authors. Self-published authors earn between nothing and one thousand dollars per year on a book which isn’t a lot different than with small publishers according to Amazon data. 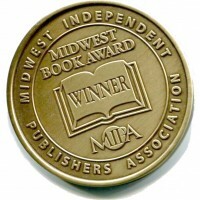 Being a finalist for the Minnesota Book Award or winner of the Midwest Book Award should help build valuable readership. Prizes open doors to meet readers through book clubs, libraries, and schools. But book clubs, libraries and schools first need to know about a quality book by an unknown writer. My advice: if you are writing the best book ever in your genre, include how a publisher can support promoting an award in your decision of how the book is published. And if you do win relish the affirmation. It is priceless.